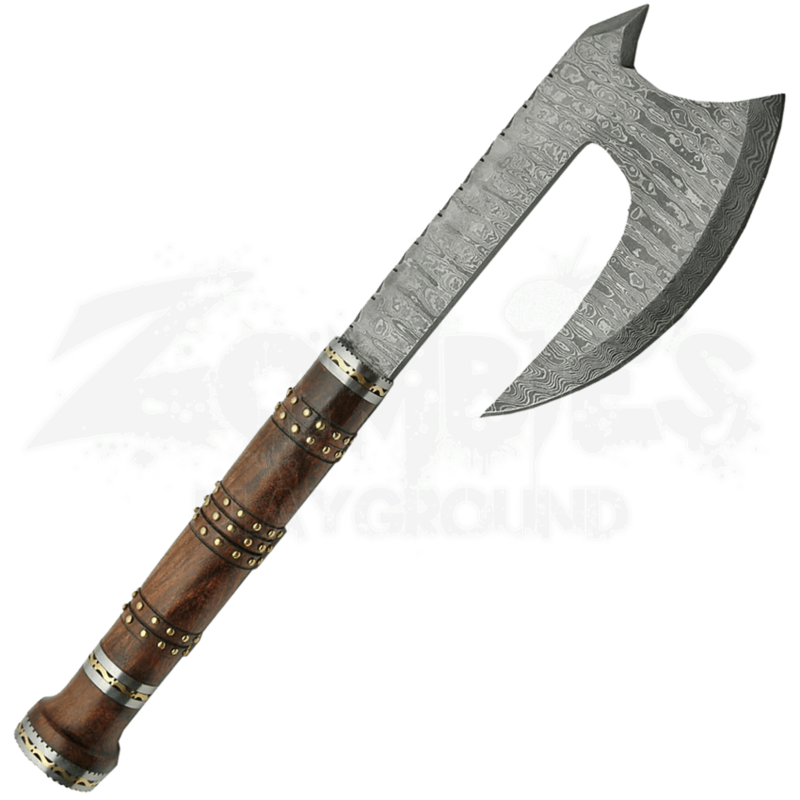 The ideal weapon for a variety of purposes, hatchets are also one of the most menacing weapons you could own. This Damascus Steel Hatchet adds an eye-catching design to this sinister blade for a weapon that is truly quite impressive. The blade of this hatchet is made from carbon steel in the Damascus steel style. Great for hacking and cleaving jobs, this hatchet features a long, curved blade with a spike on the top. The handle of this hatchet is made from smooth rosewood, and it features brass pins and metal accents. Included with the hatchet is a stitched leather scabbard, keeping the head of the weapon protected from scratches between uses. 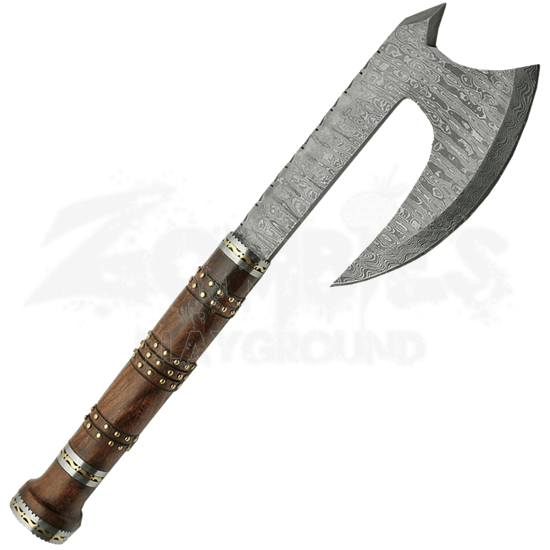 No collection of weapons is complete without a hatchet, so implement a weapon that is both baleful and beautiful to your arsenal with this Damascus Steel Hatchet!